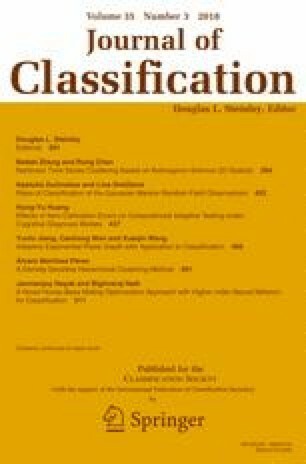 This paper deals with similarity measures for categorical data in hierarchical clustering, which can deal with variables with more than two categories, and which aspire to replace the simple matching approach standardly used in this area. These similarity measures consider additional characteristics of a dataset, such as a frequency distribution of categories or the number of categories of a given variable. The paper recognizes two main aims. First, to compare and evaluate the selected similarity measures regarding the quality of produced clusters in hierarchical clustering. Second, to propose new similarity measures for nominal variables. All the examined similarity measures are compared regarding the quality of the produced clusters using the mean ranked scores of two internal evaluation coefficients. The analysis is performed on the generated datasets, and thus, it allows determining in which particular situations a certain similarity measure is recommended for use. This paper was supported by the University of Economics, Prague under the IGA project no. F4/41/2016.